The original arbor was bought at Lowe's and had metal supports on the bottoms of the side supports. Those were mounted in concrete and the idea was that they had a little give so could move in the wind and not break. Stop laughing...it made sense at the time. 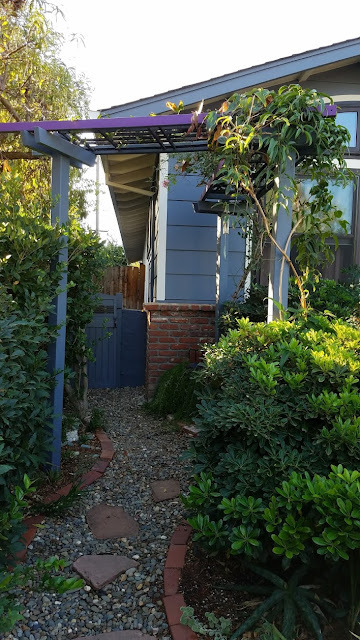 And actually worked for a number of years until the metal rusted and that arbor started to lean. 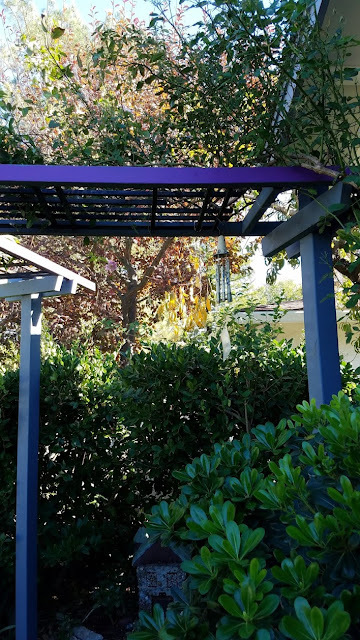 So last spring I took the arbor apart and used the side pieces for the top of a new arbor. This one has 4x4 redwood posts for the supports, mounted in concrete. 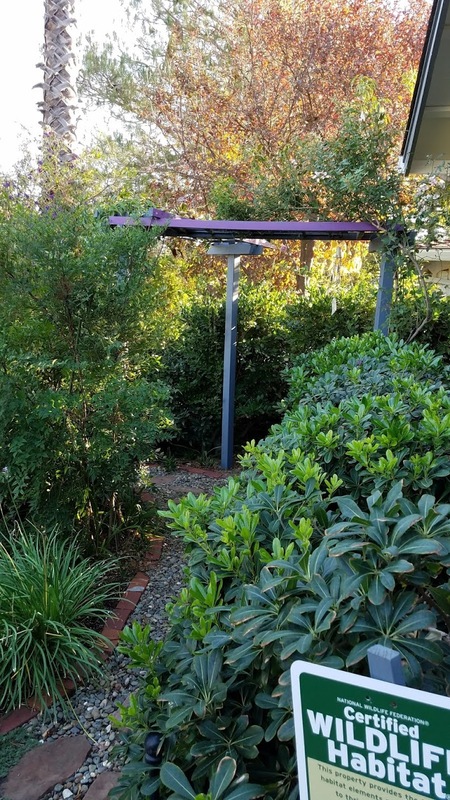 There are three posts set in a triangular shape so each part of the arbor crosses a different part of the path that turns at the corner of the garden. So now the clematis armandii gets one section and rosa 'Flower Girl' gets the other which will help with pruning issues that arose when they were jumbled together on one arbor. I am cautiously optimistic that this arbor will last a long time!